Meryl Streep believes women have to wear make-up to be successful. The 59-year-old actress appears bare-faced in new movie 'Doubt' - in which she stars as Sister Aloysius Beauvier, a nun who is determined to prove a priest guilty of sexual abuse - and although she enjoyed the experience, she understands why women choose to paint their faces. She said: "The really freeing thing about playing the role was that you throw away everything that woman normally waste a great number of hours of the day on - what you're going to wear, how your hair looks, how your face is. "Everything is gone and all you have is what you do. It's kind of the way we should be, you know, instead of wasting a lot of time on the things that get you ahead in the world - because they do." 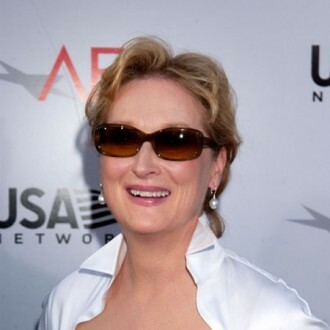 Meryl also revealed she found acting in her natural state "liberating and spiritual". Asked what it was like to appear make-up free on the big screen, Meryl replied to BANG Showbiz: "I had a great deal of old age make-up on. It took hours, and the prosthetics… that nose! No, really it was very freeing. It was very, very liberating and sort of spiritual if I dare use the word."